The city last year said it aims to add 7,500 homes annually through 2025, a third of them designated social housing, with rents topping out at €711 a month. Officials have proposed a ban on rentals of newly built homes to keep landlords from snapping them up and pushing potential middle-class buyers out of the market. And the government is considering what it calls an “emergency button” to cap rents when they’re rising too fast. “We don’t want to become like New York, with a lot of rich and poor people and few in between,” says Laurens Ivens, the city official in charge of housing. Those proposals have sparked intense opposition from developers and landlords. Institutional investors say rent controls would be counterproductive by making it impossible to earn a reasonable profit from housing. 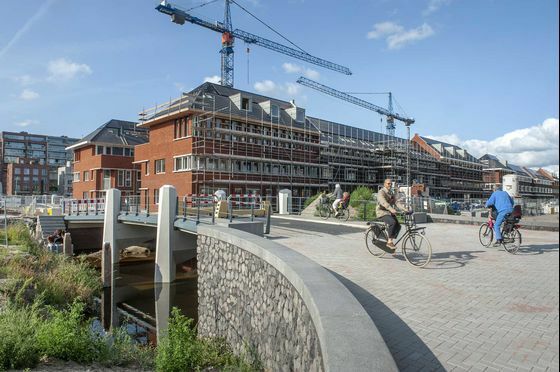 With construction costs and land prices also rising sharply, returns are already low, and pension funds and other typical backers of such projects would likely balk at anything less, says Gertjan van der Baan, chief executive officer of Vesteda, an investment company that owns 28,000 apartments in the Netherlands. “The only remedy to the housing problem is to build more,” he says. “An emergency button to cap rents would scare off investment” and limit the supply of new homes.